Stryker is proud to be a platinum sponsor of the American College of Oral and Maxillofacial Surgeons. 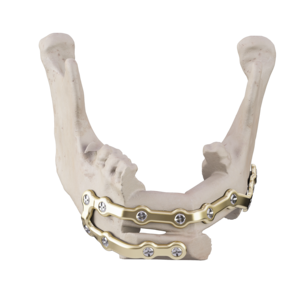 Our Facial iD mandible reconstruction plate gives you the flexibility you're looking for. 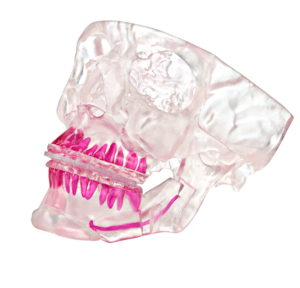 Based on patient specific CT data and direct input from you, our Facial iD mandible reconstruction plate is designed to meet the individual needs of you and your patients. After the data is received, a design session is set up between you and a design engineer, placing the artistry of implant design into your hands. A smart choice for MMF. Maxillomandibular fixation device. A revolutionary patented product designed to combine the strength and rigidity of arch bars with the safety and efficiency of MMF screws. 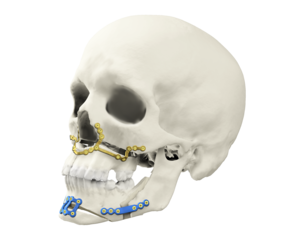 Working in collaboration with 3D Systems, VSP Orthognathics represents a major leap forward in virtual planning of orthognathic surgical procedures. Our sales representatives are with you through every step of the process. 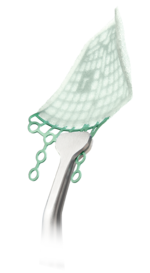 We designed our exclusive MEDPOR TITAN 3D orbital floor implant to enhance the effectiveness and efficiency of orbital reconstruction. 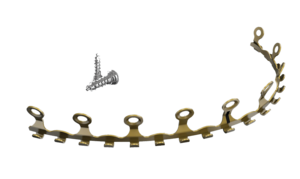 We use CT-scan data to design the titanium implants to approximate the anatomy of the orbital floor and medial wall. We then cover the implant with our proven MEDPOR biomaterial to minimize sharp edges, even if the plate requires modification. The superior, non-porous barrier of the implants helps prevent tissue in-growth along the aspect of the globe. 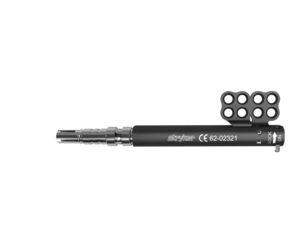 In addition to the MEDPOR TITAN 3D orbital floor implant, we offer a comprehensive selection of implants to treat orbital floor fractures with specificity. Originally developed by a neurosurgeon, today’s Colorado Needle line now includes more than 40 configurations tailored to the unique needs of diverse procedures. 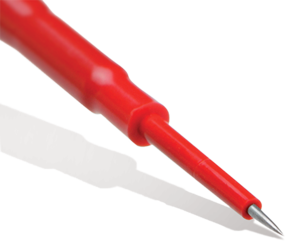 Our needles are compatible with a range of monopolar electrosurgical handpieces on the market. With unparalleled sharpness and small size, Colorado Needle tips allow for the consistent precision and patient protection you want from your everyday, go-to surgical instruments. Stryker Corporation or its affiliates own, use, or have applied for the following trademarks or service marks: Colorado, Facial iD, Hybrid MMF, MEDPOR, SMARTLock, and Stryker. All other trademarks are trademarks of their respective owners or holders. VSP is a registered trademark of 3D Systems, Inc.
2: Lutjering, G and Albrecht, J. "Proceedings of the 10th World Conference on Titanium Held at the CCH-Congress Center Hamburg, Germany 13-18 July 2003". Ti-2003 Science and Technology. Volume V; 2003. 3: Baumann, Axel and Zander, Nils. "Ti6A14V with Anodization Type II: Biological Behavior and Biomechanical Effects". WP. Pages 1-5; 2005. Stryker Corporation or its divisions or other corporate aff iliated entities own, use or have applied for the following trademarks or service marks: Adherus, Colorado, Cranial iD, DirectInject, Facial iD, Hoffman II, Hybrid MMF, HydroSet, iD Solutions, Leibinger, MEDPOR, Multi-Guide II, SMARTLock, Stryker, TruForm, Universal 2, Universal Neuro, VSP. All other trademarks are trademarks of their respective owners or holders. Adherus and Adherus ET are the only FDA-approved hydrogel dural sealant with a patent pending AutoSpray applicator with internal air pump. Manufactured by HyperBranch Medical Technology, Inc., a subsidiary of Stryker, located in Durham, North Carolina USA. Durepair is a registered trademark of TEI Biosciences Inc.
DuraMatrix-Onlay PLUS and DuraMatrix Suturable are trademarks of Collagen Matrix, Inc.
DuraMatrix-Onlay and DuraMatrix are registered trademarks of Collagen Matrix, Inc.
DuraMatrix-Onlay PLUS, DuraMatrix Suturable, DuraMatrix-Onlay and DuraMatrix are manufactured by Collagen Matrix, Inc., Oakland, New Jersey USA.